A complaint letter is a must when you face something unwanted given the inefficiency or unmindfulness of another party out there. It could be your tenant playing the music too loud violating the agreement of quiet living or it could be a vendor who has supplied you malfunctioning products. With a complaint letter, you get the chance to state your grievances and also ask for the compensation that you deserve. Moreover, such a letter template from you will even warn the other party about the consequences it has to face in case it repeats the same or does a similar misdeed. 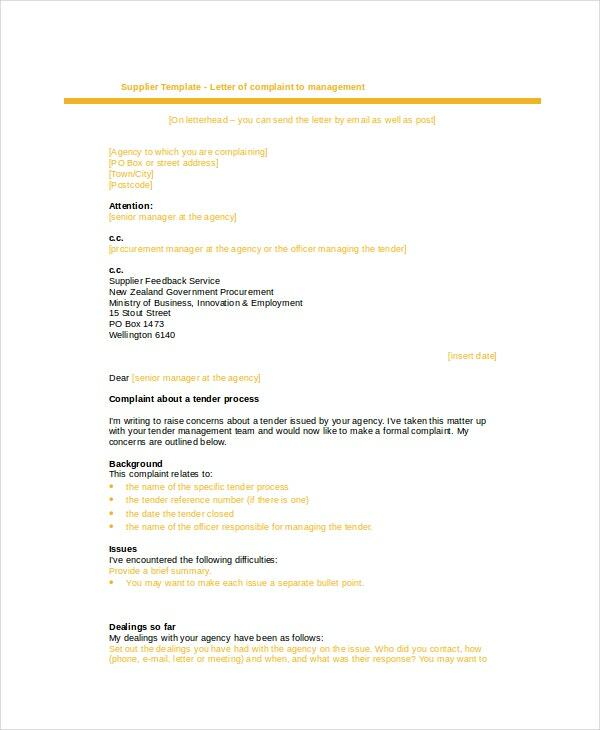 If you are looking for standard business complaint letters, this letter would be great for you as it shows how to write an official complaint letter to a company- with tips on different sections and what to include under them. This discrimination complaint letter would help you when you have to send a complaint letter citing the unjust discriminatory attitude shown towards you. You can present your complaint in bullet points for easier understanding. 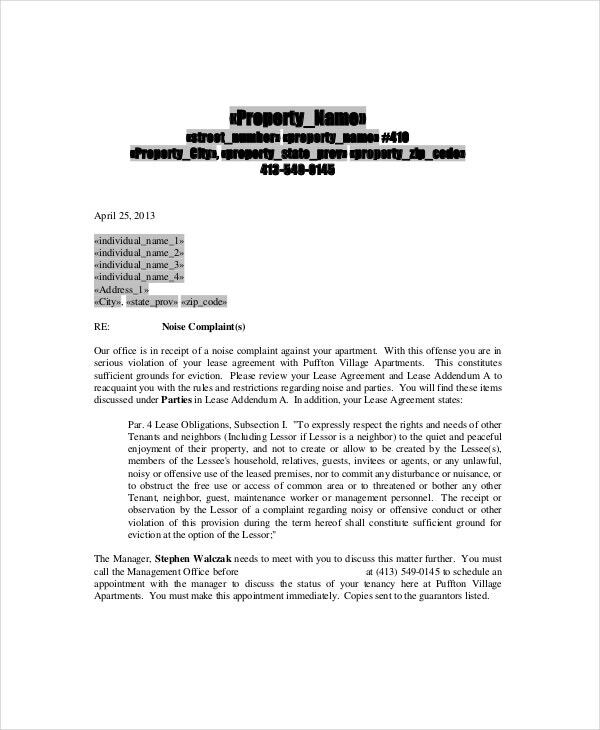 This noise complaint letter is addressed to a tenant who is causing a great nuisance with excessive sound, thereby violating the lease agreement that has clearly stated against loud noise. The letter has also mentioned the pertinent lease agreement clause. 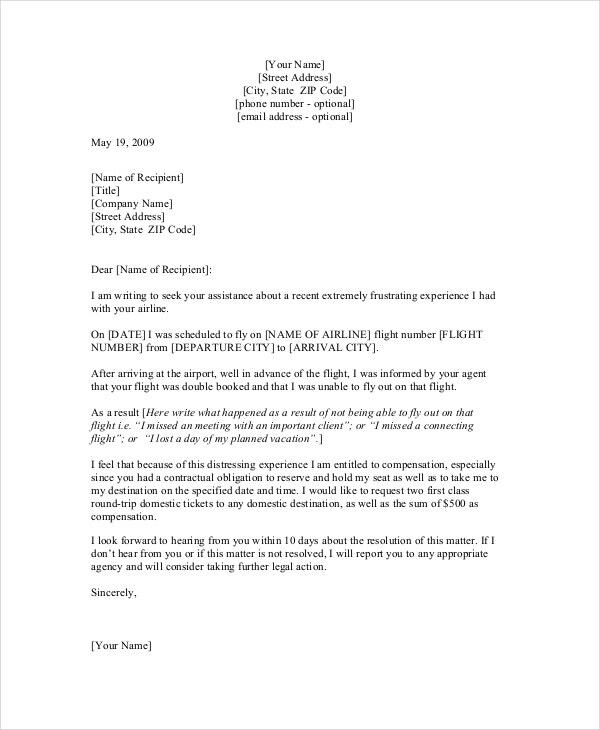 If you are looking forward to writing a complaint letter to an airline company on the ground of your overbooked flight, this letter shows you how to do that and how to ask for compensation. 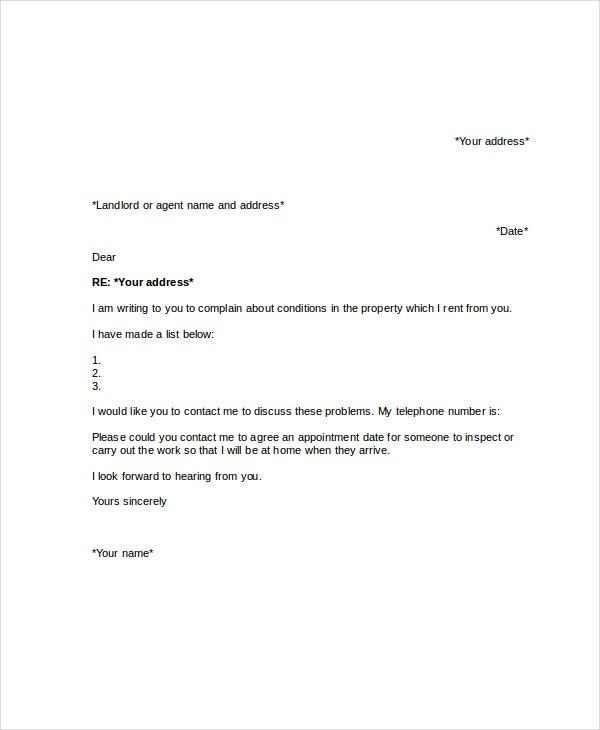 > What are the Best Tips to write a Complaint Letter? The primary tip of writing a complaint letter is to maintain a formal tone throughout. 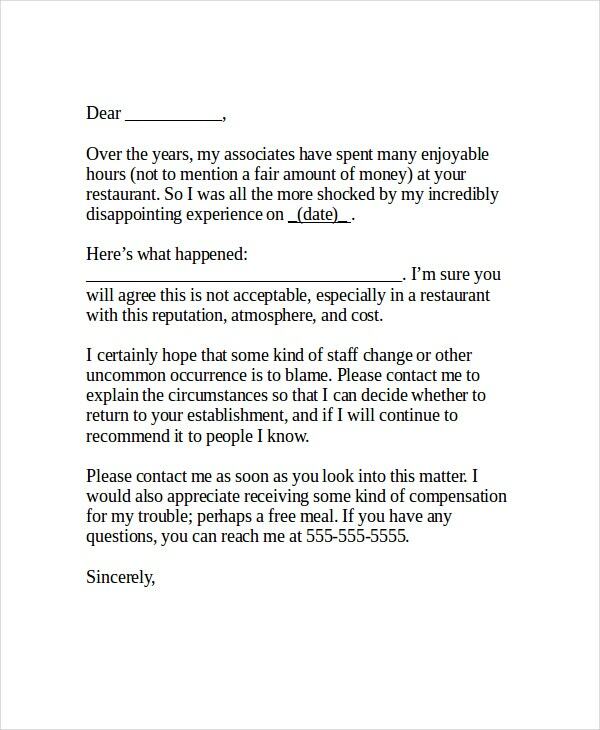 Yes, you are hungry and annoyed when you are not getting the service you have paid for but then you cannot forward an angry sarcastic and demeaning tone on your letter. Then, you must precisely state the wrong that has been done or the problem you are facing in bullet points if needed. 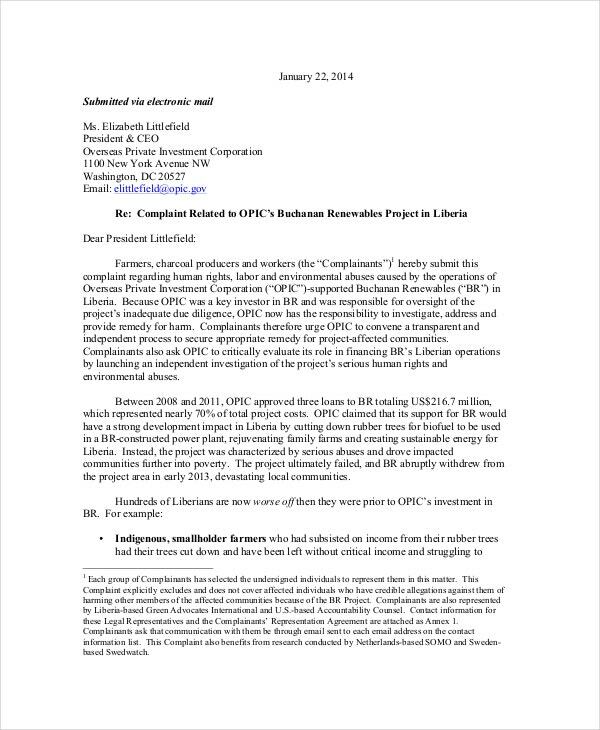 You might have to mention evidence to prove the complaint. Besides, you must conclude the letter with the corrective steps you want the other party to take to address the situation effectively. 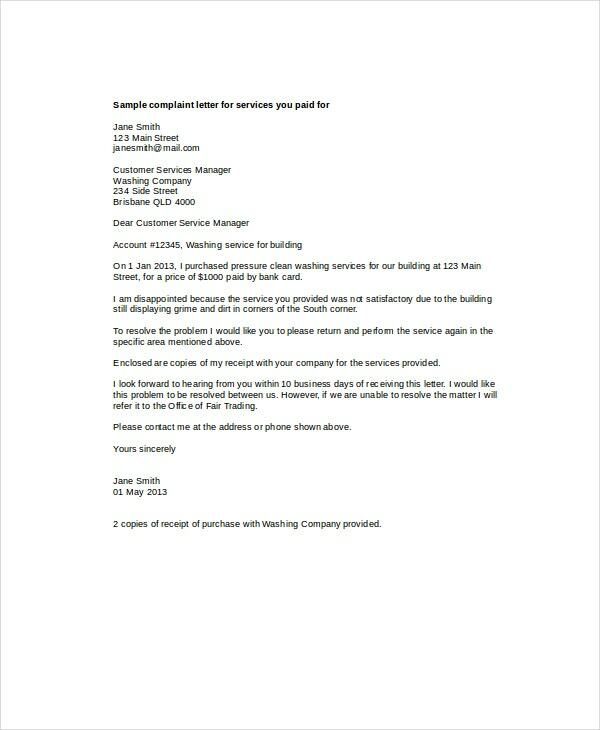 If you are looking for a business complaint letter to be addressed to a business, you have a detailed example here. The letter also offers space to state the steps that you wish to take to address the situation. > What is the Benefit of A Complaint Letter? The prime benefit of complaint letter is that it allows you to raise your voice against any misstep or wrongdoing that has been done to you. So many wrongful acts don’t come to fore just because many of us can’t muster the courage and state the situation in a clear language. Moreover, at times, the other parties might not be aware of the problem created by them and your letter will let them know where they have gone wrong with their service or behavior. Besides, such a letter also offers you the scope to cite the corrective steps that you want the party to take or the compensation you deserve to be paid for that nuisance. 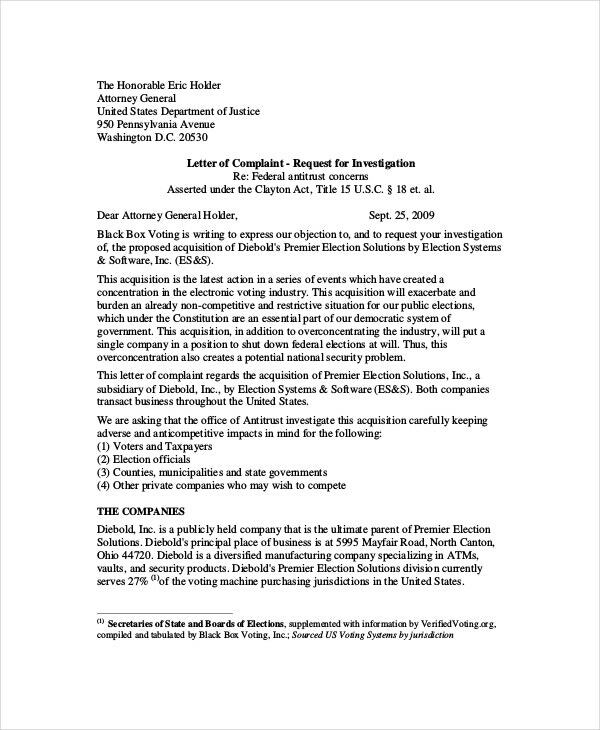 You can also see Formal Complaint Letters. 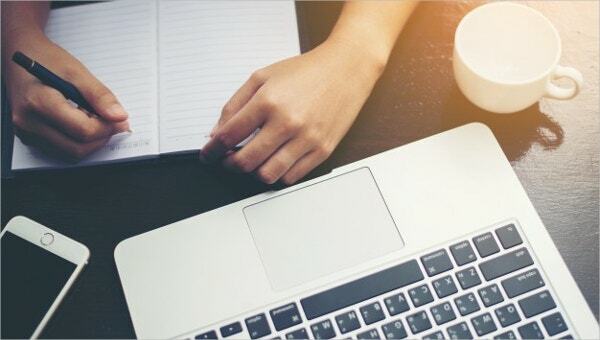 Are you about to write a complaint letter and looking for some solid guidance on the tone and the wordings? 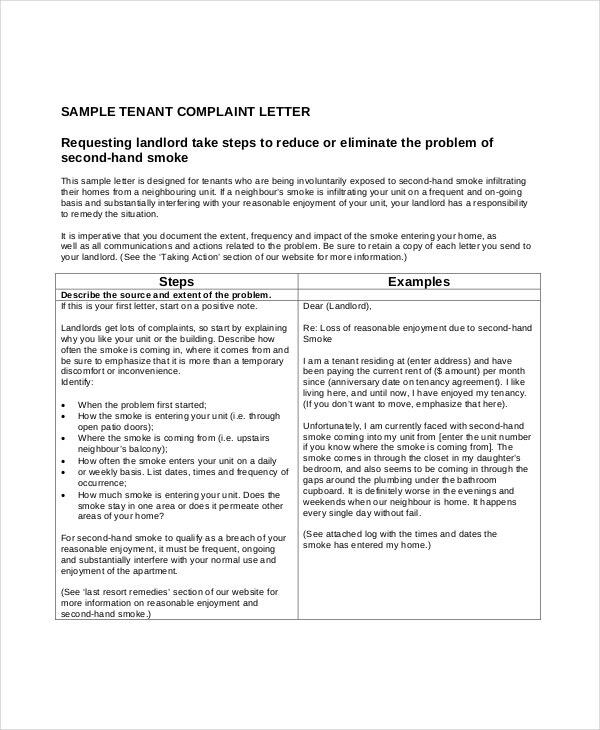 Well, the templates mentioned above would be really beneficial for you here as they clearly show you how to frame an effective complaint letter. Some of them even carry expert instructions on what to write in which paragraph of the letter.